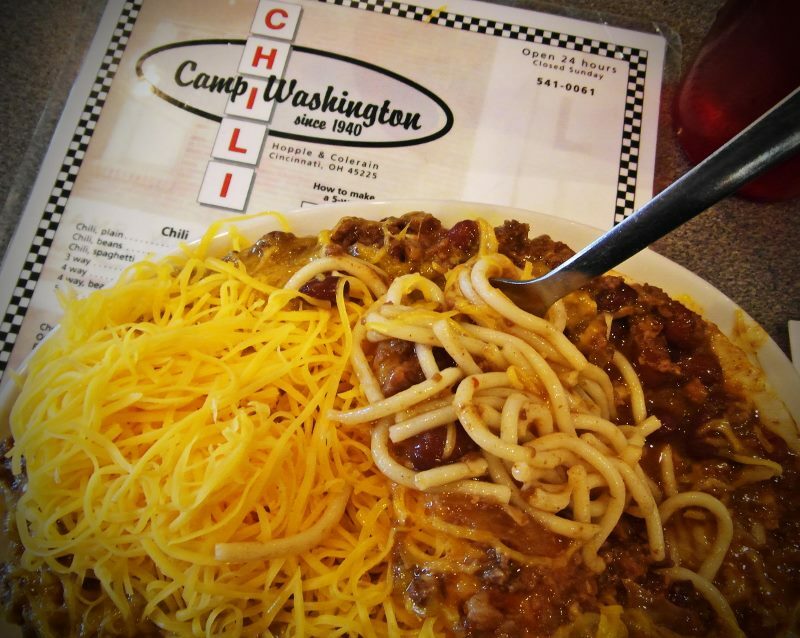 Cincinnati chili is one of those things you either get it or you don’t. 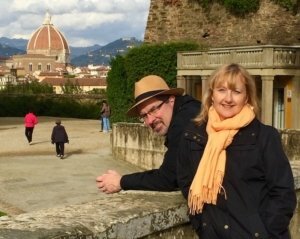 Among national food critics it’s developed a love it or hate it reputation that brings out the snark. As with many regional food favorites, it helps to have grown up there. But I didn’t and I still like it, if I eat it at the right place. Whenever we visit family there I ask my brother-in-law John, where is the best Cincinnati chili? Cincinnati chili is redolent with spices not normally found in what most people think of as chili. That’s thanks to its inventors, Tom and John Kiradjieff who, starting in 1922, sprinkled it with cinnamon, cloves, allspice, cumin and chocolate. Not a typical batch of chili. The other thing that makes Cincinnati unique is that it’s served over spaghetti. This being the Midwest it’s not quite the al dente pasta of my Italian-American upbringing in New York but it seems to work. With regional chili chains like Skyline, Gold Star and Empress ladled all over the Queen City and environs, it’s easy to find a bowl of the hometown brew in ordinary strip shopping centers. 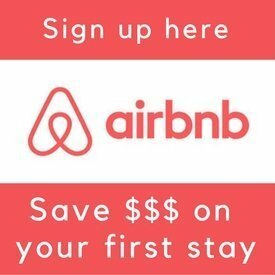 (And surprisingly enough, you can also find it on the west coast of Florida, where many Cincinnatians retire.) If you want to start a heated debate, just ask a local which is their favorite chili parlor. 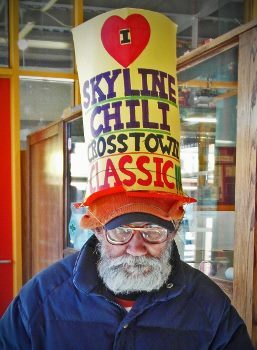 The man to the left doesn’t just wear his love for Skyline Chili on his sleeve, he also wears it on his hat. 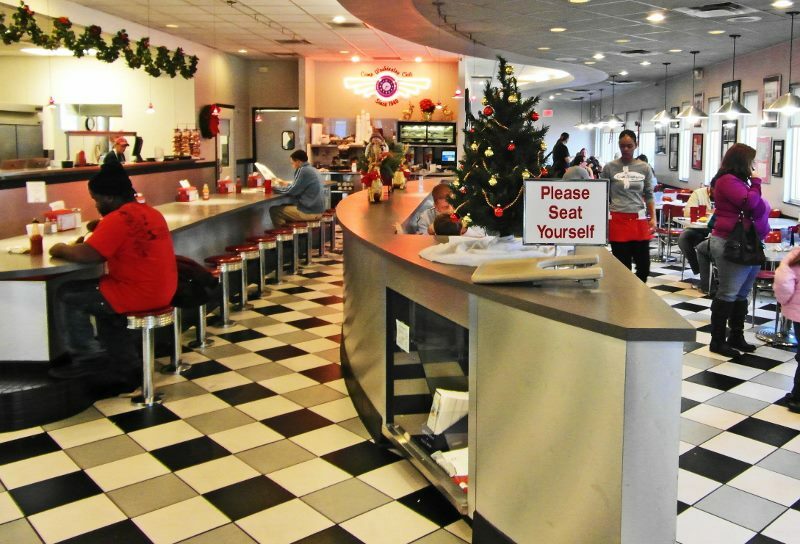 When you’re in Cincinnati you should trek a bit farther into the heart of the city and grab a booth at Camp Washington Chili. 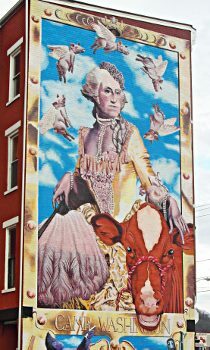 It’s easy to find right below a building-sized mural of the peripatetic George Washington dressed, for some reason unknown to me, as a courtesan. I’m guessing he once camped here, bestowing his name on the humble neighborhood that has become a foodie destination. With its homemade quality, the chili served at Camp Washington is several notches above the chains. To do it right get a 5 Way, which is chili, spaghetti, beans, onions and cheese. If you’re watching your carbs, or just really want more meat, you can skip the spaghetti and have them ladle it over hot dogs; these are called Coneys. 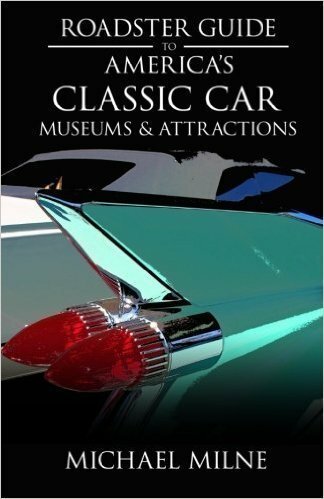 Named after Coney Island but definitely something you won’t find at its namesake neighborhood in Brooklyn. 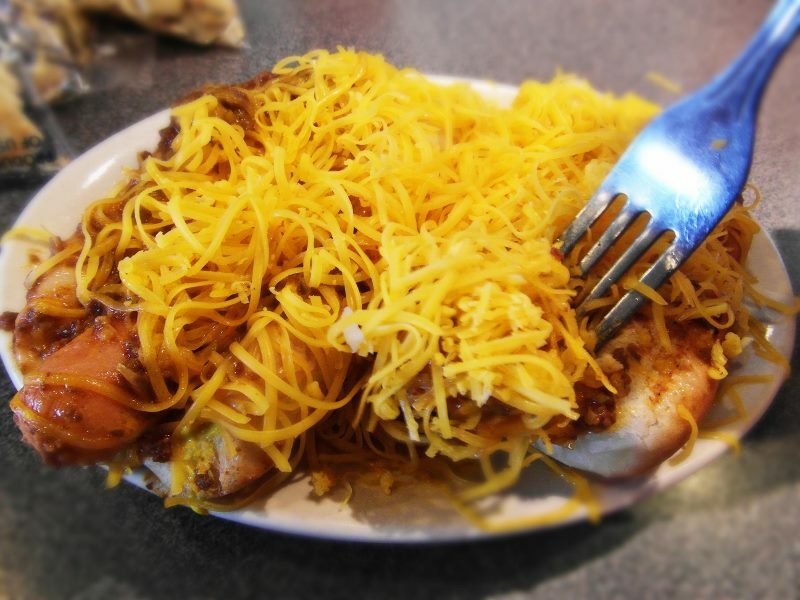 Somewhere under all that cheese and chili you’ll find a few hot dogs. Ohioans must love chili. 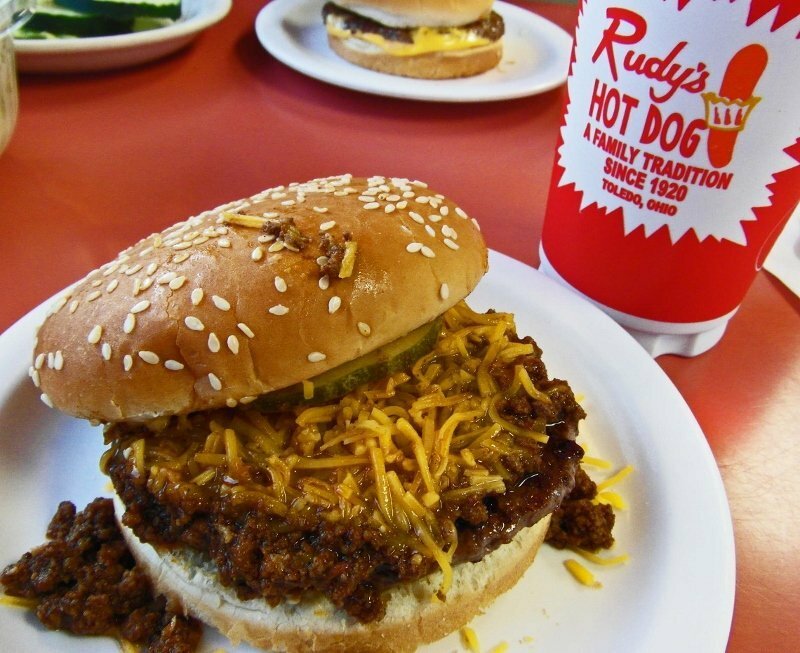 We made it to Rudy’s hot dogs in Toledo (a family tradition since 1920) to try their famous chili. The outstanding chili was different than in Cincinnati with more traditional spices. I tried it on the Rudy Burger (cheap at $2.20) which I have to admit, is a tremendous amount of meat for one sandwich. Since the chili was so good I think next time I stop in I’ll order the chili on its own. For more information go to: Rudy’s Hot Dogs.